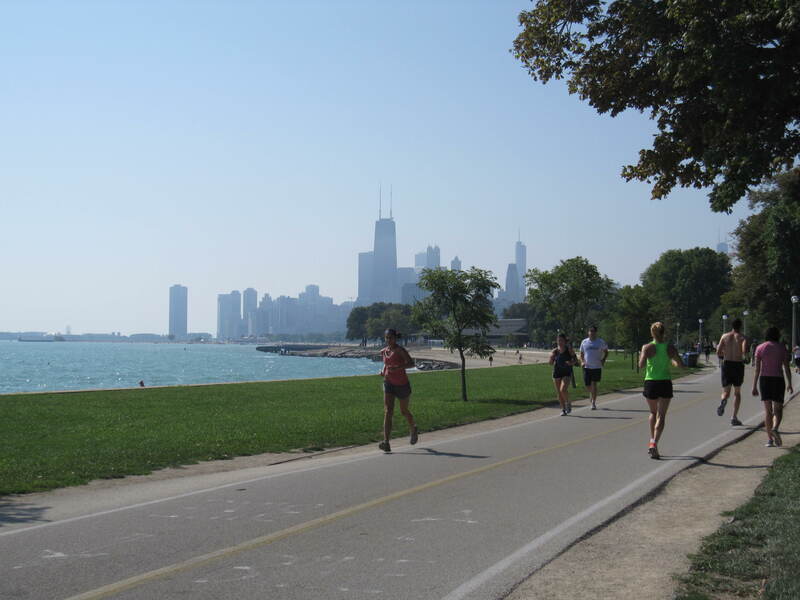 and we did it on the relatively narrow space of a bike path along Chicago’s lake shore. The path was well populated by runners, bikers, walkers, and roller-bladers. Boaters, swimmers, and jet-skiers made the nearby water their playground. Sunbathers, sand-castle-makers and volleyball players rested on the beach. 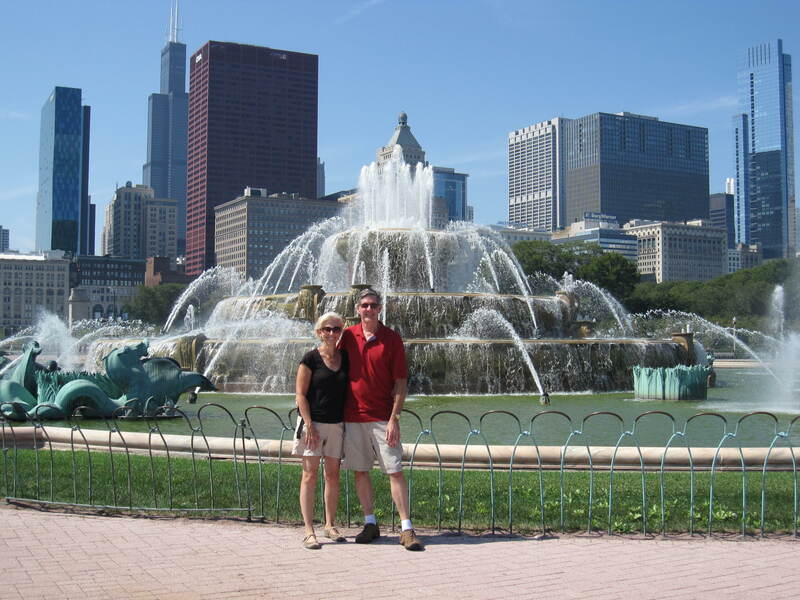 Sightseers and city lovers walked the streets, dined in restaurants and enjoyed Chicago’s attractions. As we pedaled on the path we observed miles and miles of people resting from their labors in the space between God’s creation and man’s work. 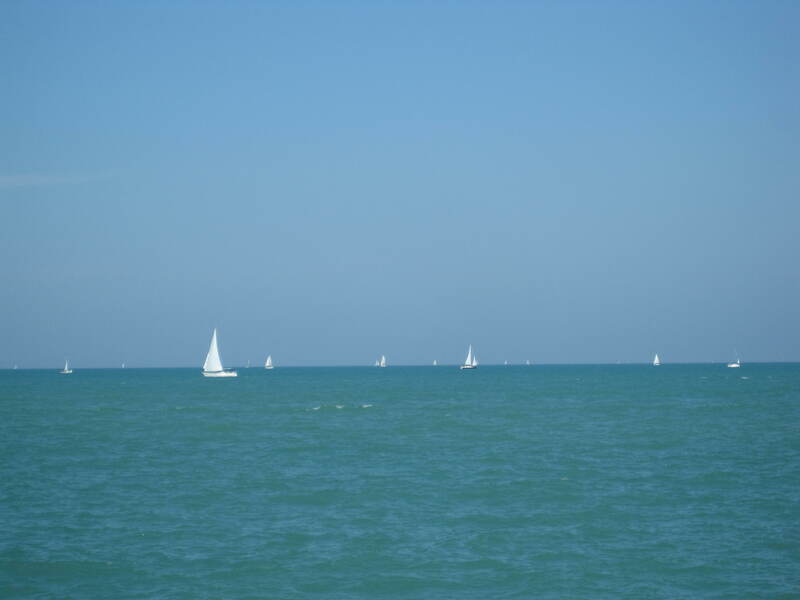 To the east was Lake Michigan, God’s creative study in brilliant blues punctuated only by white sails on the horizon. West of the path stood the impressive city of Chicago, created by men and women using a more neutral palette of steel, bricks and concrete. In between God’s handiwork and man’s efforts, like the bike path between the lake and the city, is a space for rest. God has done for us all that we cannot do for ourselves. He created the world, the natural beauty that we enjoy and the raw materials with which we cultivate everything we need for life on this planet. Human beings did not create Lake Michigan; we simply enjoy it and use it as a resource. Similarly, God has given us everything we need for life beyond this world by the redemptive work of Jesus Christ on the cross. We cannot save ourselves anymore than we can create Lake Michigan. We simply accept his gift and enjoy Him. Our best work begins from a space of rest in God’s finished work. What do you do to rest from your labors? Have you experienced God’s rest? 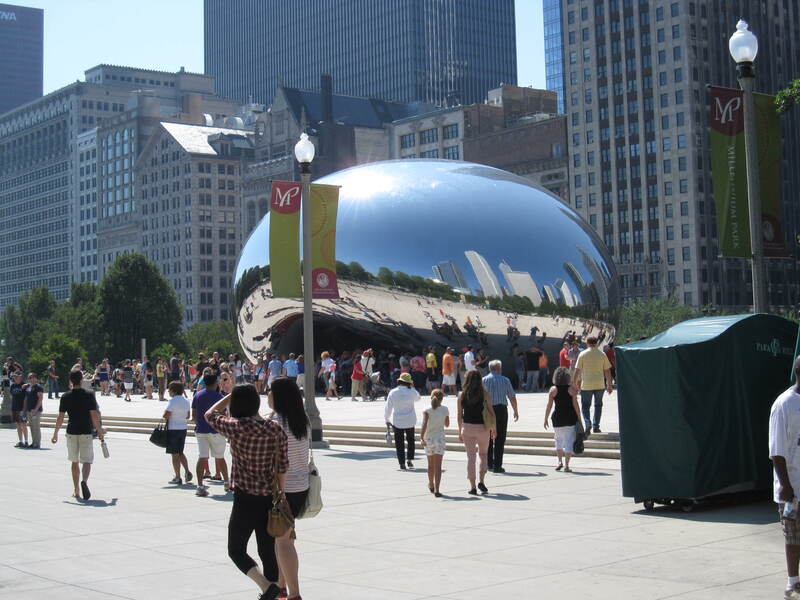 Gallery | This entry was posted in Christian Life, Eternal Life, Jesus, Life, Redemption and tagged Bike Path, Biking, Buckingham Fountain, Chicago, Creation, God, Gospel, Labor Day, Lake Michigan, Redemption, Rest, The Bean, Watchman Nee. Bookmark the permalink. Beautiful pictures. Rest is so important to a balanced life. Nice post! Beautiful pictures! I spent Labor Day taking car of my 17-yr.-old son who had his widom teeth pulled. Rest is so important! Thanks for sharing Judy. Rest – i should be headed that way now – Thanks for this great nudge toward what we need. I read and write almost all of the time. Then, for rest, I read mysteries. I’m sort of boring. Rest is often elusive. While many rested on Labor Day, I worked. While most call Sunday a day of rest, recalling how God rested on the seventh day and that we should keep the Sabbath, I labor. For congregational pastors, Sundays in general and the worship service specifically, are times to be “on.” And then, the “regular” work week begins and we are expected to be “accessible” to all who need us. Yes, rest is elusive. Pastors carry a heavy emotional ans spiritual load. I pray that the Lord will give you rest, Dan. Pastors do carry a heavy load. Always caring for others, often at the price of their own self-care. I pray for you to have rest. Thank you, Judy and Kristin, for the good wishes and the “implicit permission” to rest! Bull riders! That’s something we don’t see much around here:). And if you ever decide to visit Chicago, you will let me know, right? Bless you back, Caddo! Come to think of it, Judy, I don’t think the PBR has toured in Chicago, or anywhere in IL, since I began watching in 2006–too bad I don’t have any pull, as an honorary “mama”! Guess you’ll just have to enjoy them vicariously, when I do upcoming posts–Finals are in late Oct, in Las Vegas–I’m both excited and stressing! A new thought for me. Thank you for sharing these observations.